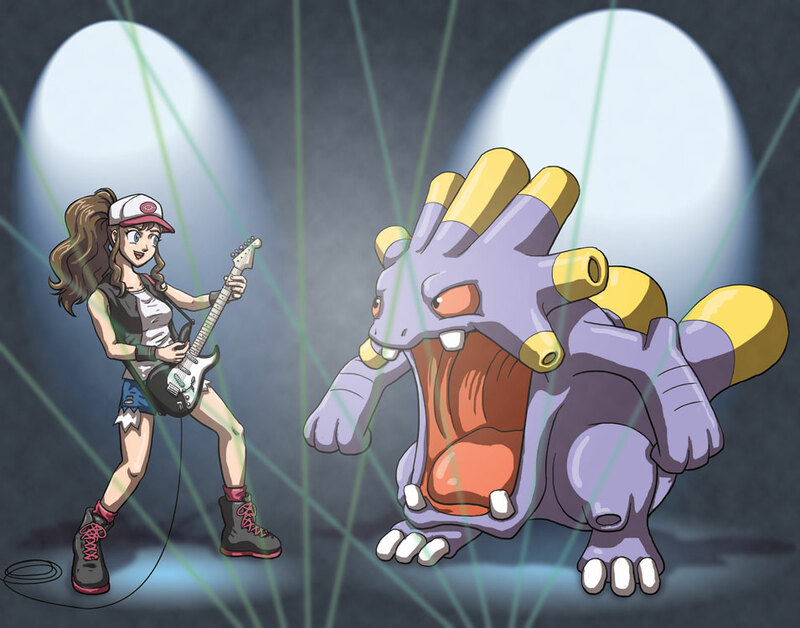 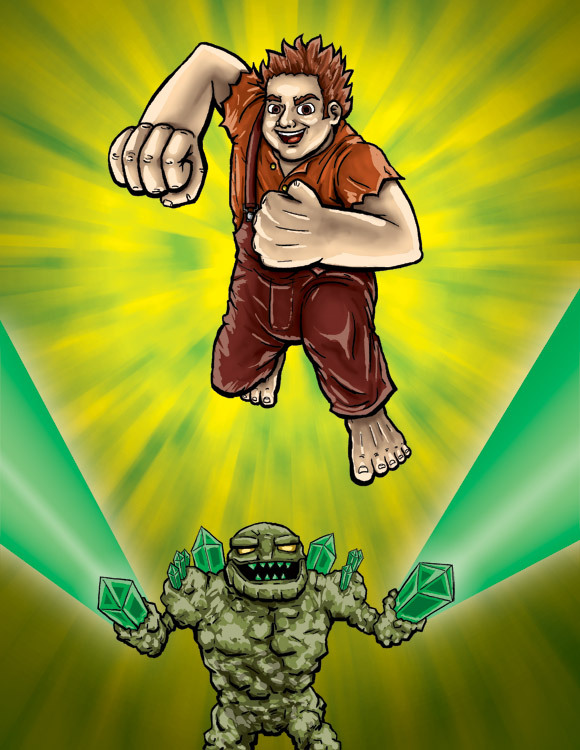 I enjoy and draw inspiration from a number of animated series and media franchises. 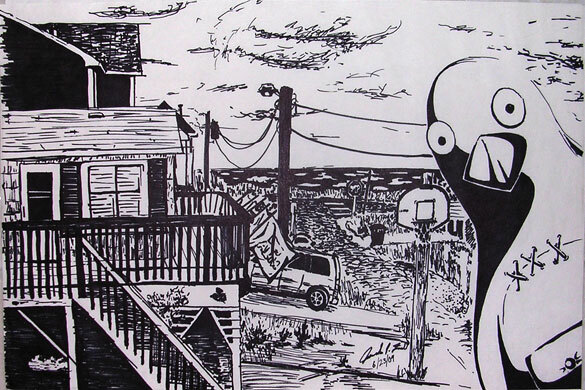 Below are some pieces which illustrate not only my enthusiasm for these works and characters, but also my artistic skill. 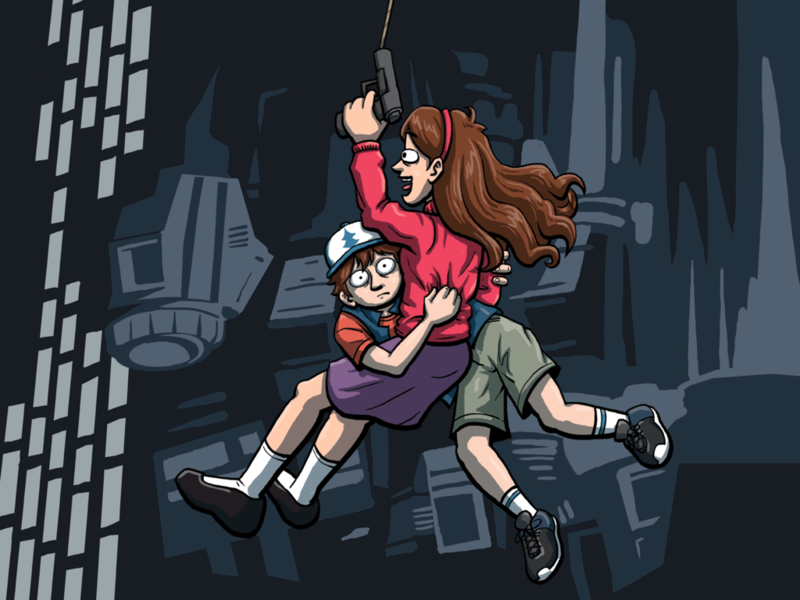 Mabel and Dipper Pines. 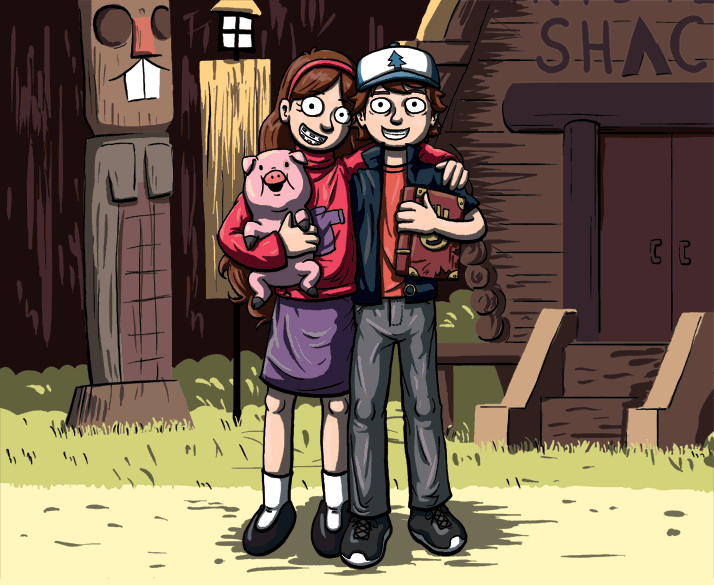 (Gravity Falls © Disney Television Animation). 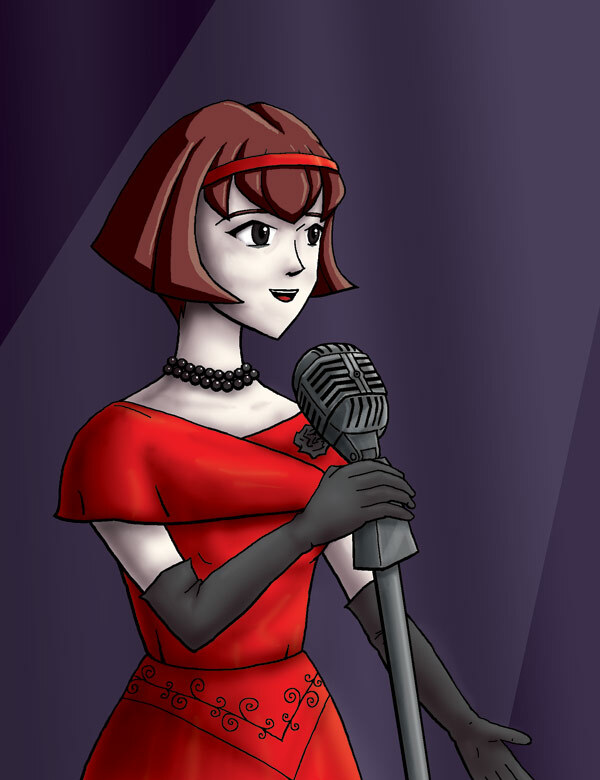 R. Dorothy Wayneright from The Big O (© Sunrise, Inc.). 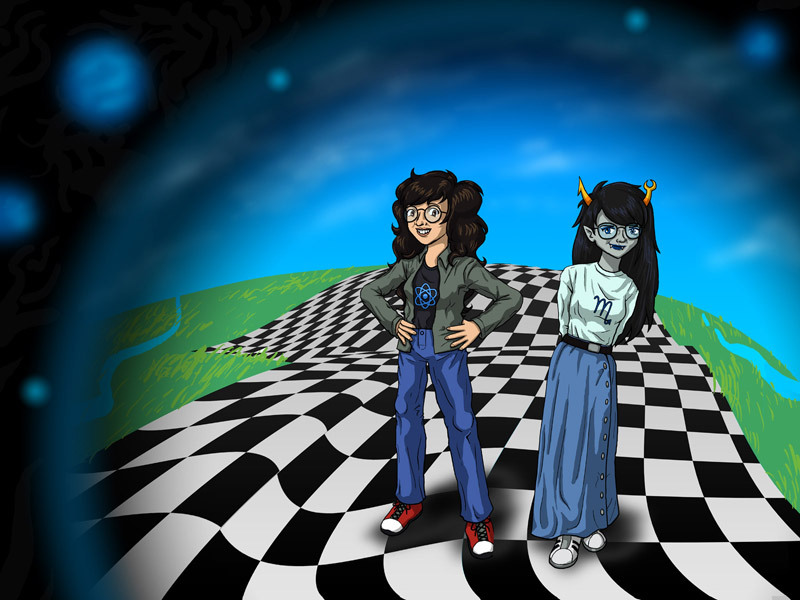 Jade Harley and Vriska Serket from Homestuck (© Andrew Hussie) give their best impressions of each other.